Today I want to talk about why the articles you read, the people you hang out with, and the media you consume directly shapes your life, for better or worse (and how you organize your environment to create your best life possible). In 5th Grade, I knew exactly what I wanted. It was Fall of 1997, and my oldest brother was finishing up applications to a couple colleges. I didn’t know much about them, except that they were military schools. I knew even less what that meant, but I was curious like a cat. So when my brother was invited to spend a couple days at West Point, NY, I tagged along. So my dad, my oldest brother and I took a plane (my first plane ride ever!) to New York. I spent a couple days walking around the most bizarre place I’d ever been to in my life: everyone dressed up like they were in a perpetual state of groundhogs day from 1850; students were always in a hurry, running from barracks room to classroom to everywhere in between (and they’d get yelled at if they weren’t doing it fast enough); and after classes, they’d have to walk in formations with their rifles for hours, or play some kind of sport (intramural or core/club squad sports were mandatory for all cadets). It looked demanding. It looked uncompromising. It looked hard as hell. I was hooked. I wanted in. And so it happened that a rotund 11 year old set his sights on gaining acceptance into the United States Military Academy at West Point. 7 years later, I got accepted. In my freshmen year at West Point, I took boxing boxing class. All freshmen had to – it was mandatory. While most people looked at it like a haze (and it certainly was that), I loved it. There was something about the adrenaline I got from entering the ring, the surge of excitement I got from standing toe to toe with a competitor with nothing but my fists to protect me, and the raw intensity of dishing out (or the threat of receiving receiving) a beating…I couldn’t shake it. I had to get better; I had to keep fighting; I had to make the team. So a scrawny 18 year old set his sights on competing for a spot on a nationally ranked boxing team. A year later, I made the team. When I deployed to Iraq, I didn’t know what to expect. As a logistics guy, I figured I’d do some “Fobbit” job (forward operating base + hobbit…get it?). Maybe I’d coordinate some transportation movements. I’d probably do a lot of paperwork. I’m sure there would be some danger, but mostly I’d be safe. At the end of the day, I figured it would be a really long, hot, boring experience. When I got on ground, our Battalion was responsible for not only the logistics of the Brigade, but making sure those supplies got where they needed to go safely. This meant securing the convoys that went out every night. I immediately volunteered to stand up and lead the convoy security platoon. Over a hundred missions later, and after getting called a “cowboy” more than once, my gun truck platoon of cooks, drivers and warehouse workers returned home without a single combat related casualty (for the record, I think this had more to do with luck / Divine Providence / the Soldiers I worked with than my own skills). But the reality is, these events weren’t successes. They were just moments in time where I took responsibility, and then I did the work. I spent thousands of hours hustling academics, sports and extracurricular leadership activities to get into the Academy (not to mention another 4 years hustling to survive and graduate the Academy on time). I got battered and bruised competing for a spot on the boxing team (and took my fare share of blows trying to keep my position on the team). In Iraq, I rode outside the wire almost every night of the week. My brain was in a perpetual state of alert, practicing in my mind what would happen if one (or many) of my vehicles got hit by IEDs, and how I and the rest of my crew would respond. It was exhausting. This is the reality of victory. It’s also the reality of failure. And it’s most certainly the reality of life. We all experience our fair share of bruises, setbacks and failures. The question isn’t: how do we avoid these trials and tribulations – how do we avoid the pain? That’s foolish and naïve (not to mention impossible). The question is: how do you overcome the struggles you will inevitably face? How do you push through fear, pain and uncertainty? How do you conquer your wolf? But most importantly, how do we do all of these things in order to create and live the life we want to live. There are 2 techniques I personally used (and continue to use) that helped me get through the darkest, most painful parts of my life. 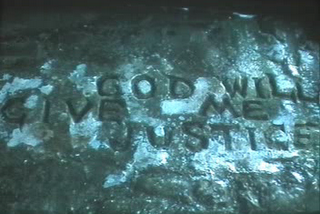 When I set a goal, I etch it into my brain (a lot like Edmond Dantes etched words of encouragement into his cell wall). There is no other option than achieving what I set out to achieve (or die trying). No, this is not always pleasant. Yes, sometimes I commit to the wrong things and regret the decision. Inevitably, however, I make it to the end (bruised and battered, maybe, but still standing). 2) Immersion into the goal. This is essentially an extension of the first technique, but it’s so important it deserves individual attention. The person who sets a goal but doesn’t change his behavior is done before he starts. Setting a goal, by its nature, REQUIRES change. And it requires the right sort of change if we hope to find success. But to create the right kind of change, we need to immerse ourselves into the subject/topic/activity we hope to achieve success in. Just like the fastest way to learn a new language is through immersion into the environment and culture of the language you want to learn, the fastest way to achieve a goal is through immersing yourself into the goal itself. I immersed myself in the application process for West Point by reading books, strategically creating my resume, and learning from cadets who had recently been accepted. I immersed myself in the boxing world by jump-roping every morning, hitting the heavy-bag every night, and by watching “Gladiator” way too many times. When I became the Battalion’s Convoy Security Platoon Leader, I immersed myself in small unit tactics, mobilized and dismounted infantry strategies, and enemy techniques. At the end of the day, immersion, more than anything else, helped me achieve my goals by forcing me to live and act as the person I hoped to become. If you’re hoping to find success in any endeavor, the right mindset will be your greatest ally. Conversely, the wrong mindset will be your greatest enemy. Changing your mindset takes unreasonable commitment and immersion into the philosophy you want to live. For the former: this isn’t something I can help you with directly. You decide the people you let into (and keep out of) your life. If you’re not sure who to keep in your life and who to avoid, my best advice: examine their character. As for the latter, well, that’s the point of this blog, my books and my podcast: to immerse you in a mindset that could change your life for the better. figured I’d give it a shot, so here it is. 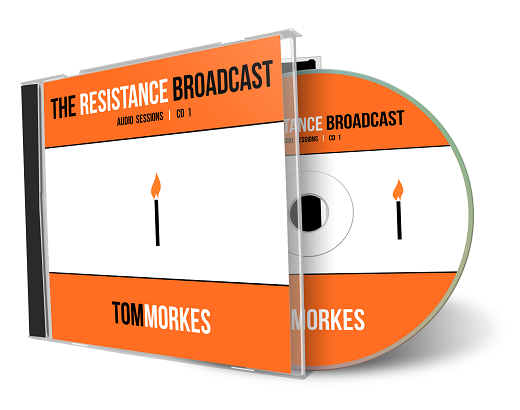 Below (or by clicking the image to the left) you’ll find my first ever Resistance Broadcast Audio Session’s CD. I took 8 of my favorite articles and recorded them into high quality MP3’s you can listen to on your phone, MP3 player, computer, or burn to disk and listen to them in your car or on your boombox at the beach. Simple: to provide you an additional resource to immerse yourself into the right mindset to fight and win your inner creative battles and create your life’s work. Will this single CD change your life? But could listening to this CD (and others like it) more than once, reading this blog (and others like it) consistently, and earnestly putting into practice the philosophy you learn in this material change your life? So I hope you enjoy today’s article and I sincerely hope The Resistance Broadcast Audio Session CD 1 inspires you to keep going, even when things get difficult. Good luck and keep fighting. I’ve never heard of anybody in the Internet marketing industry having your kind of background, let alone capitalizing on it by crafting a brand around it. I love it! I attended the Merchant Marine Academy on Long Island, during my sea-year spent some time going in and out of Uum Qasr on resupply dropoffs. Like you, I knew that a military academy was the only place for me when I was 12 years old. I’m in the process of crafting a brand for myself, and for some reason I am a bit afraid of accepting that era of my life and assimilating it like you have. The industry I’m hoping to help (self-publishing) is kind of like a tricky navigation problem, and after reading this article and interacting with your brand here on the website, I am inspired to embrace my experiences in the Merchant Marine more to structure my own unique brand. I’ll definitely be sharing your Amazon Publishing Experiment around, and would love to Skype interview you about your experiences with self-publishing on the Smart Self-Publisher podcast. Thanks again for the badassery, it’s truly inspiring. I was hesitant to tie in my military experience into my writing. It took me months to come around to talking about my experiences and stories at West Point and in the army. Of course, in retrospect, that’s the silliest thing imaginable as my background is exactly what separates me from the crowd (for better or worse) and so it’s essential I draw from it / write about it.  I’d love to be on your Smart Self-Publisher podcast. My email inbox is about 100 comments deep right now, but I’m going to knock them out today. I’ll shoot you an email (unless you already have!). Awesome, I’ve already started planning out how to let those experiences come through in my content strategy. I’ll get you an email later today about the podcast! Sounds great Dan – look forward to connecting! Such a good post! Unreasonable commitment, so good. The reality of getting there, so true. Battered and bruised but still standing. This article was a great reminder! Thanx for posting! Michael – Thanks so much! So glad you liked it (and hope you enjoy the mp3’s!). Thanks man. You gave me the philosophy to live. I really appreciate this great work. Thanks for the kind words. Keep moving forward and best of luck with everything.